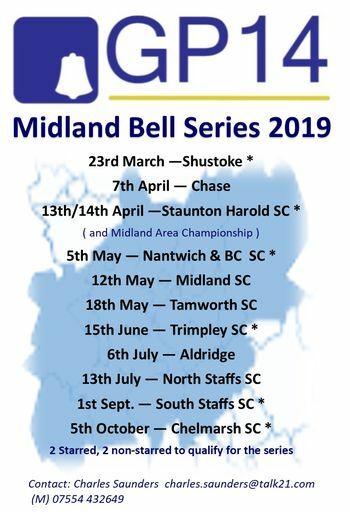 Part of the Midland Bell, the 2019 Chase SC Open is a non-starred event costing just £15 for 3 races. Galley available on the day. With a good home fleet strong competition is to be expected! First before lunch, Second and Third race back-to-back after lunch. The full Notice of Race can be found here. There is club racing on the day before (Saturday from 12pm) should anyone wish to come early and join in. The compound can be available to those who wish to stay over the night before by prior arrangement.